NATO Allied Maritime Command (MARCOM) and the Dartmouth Centre for Seapower and Strategy (DCSS) at Plymouth University will co-host the Second MARCOM-DCSS Sea Power Conference at Warren House, Kingston-Upon-Thames, Surrey UK on Monday, 11 February 2019. The inaugural 2018 Conference explored the relevance of sea power to 21st century conditions and examined its application in the strategic seas on the NATO Alliance. Our 2019 Sea Power Conference will focus on the Allied maritime dimension of Deterrence: the actions that underpin a deterrent posture, the effective management of that posture and the integration of strategic messaging. Deterrence has always been a central concern of NATO, but has grown in maritime importance after Russia’s aggressive actions in Ukraine, intervention in Syria and employment of new naval capabilities since 2015. 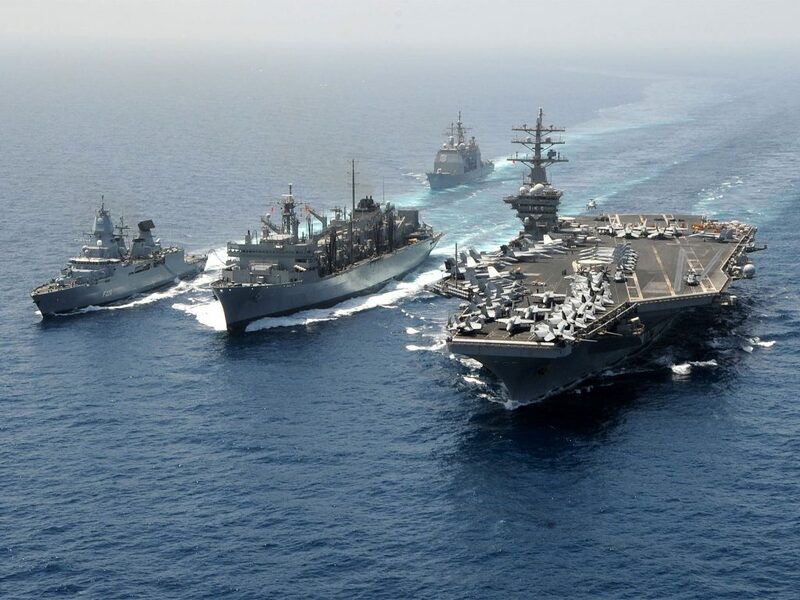 The SP19 Conference seeks to bring together a small, select group of academics, government officials, media practitioners and military leaders to brainstorm the dynamics of contemporary deterrence and its contemporary application at sea. A key element of SP19 is that its outputs are intended to inform discussions in MARCOM’s classified Maritime Operations Centre Directors Conference and Maritime Operational Commanders Conference later in the year. We will seek to infuse our policy and operational discussions with the insights gained from this collaboration. The DCSS will be represented by Associate Professor in Strategic Studies & Director of DCSS, Dr Fotios Moustakis and Mark Grove, Lecturer in Strategic Studies, University of Plymouth at Britannia Royal Naval College, Dartmouth. A welcome speech to the participants will be delivered by Professor Jerry Roberts, Deputy Vice-Chancellor of Research and Enterprise at University of Plymouth.